WPSirius030.jpg. . HD Wallpaper and background images in the Сириус Блэк club tagged: sirius black padfoot gary oldman harry potter. 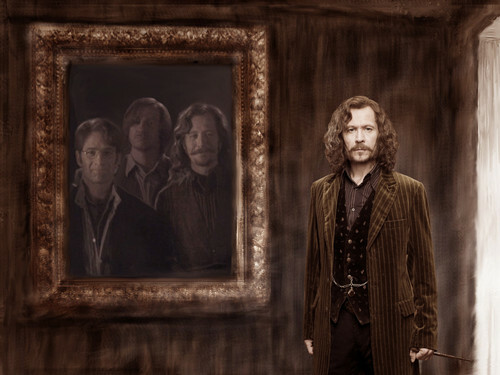 omg I love it... if the mirror or painting thing was the mirror of erised, and Sirius sees them in it... aaaaaaaaaaaaahhhhhhhhhhhhhhhhhhhh so cute!